When I was a kid, I used to love rearranging my bedroom furniture. Somehow I would manage to move the full-sized canopy bed, dresser, and bookshelf/drawer combo around the dark brown carpet all on my own. I'd avoid blocking the three windows that overlooked our backyard and the neighbor's yard that diagonally separated my yard from one of my best friend's. I could fall asleep soundly with my bed in a different place, but anticipating a change in life I don't have control over could keep me up at night. Yet when we follow Jesus, we have to rearrange our life. The sermon in church on Sunday included that idea. I've been thinking about it since. As soon as our former pastor who still is on the speaking team uttered those words, I was taken back to pushing and pulling my furniture across the carpet. And I remembered how I've dug in my heels so many times. 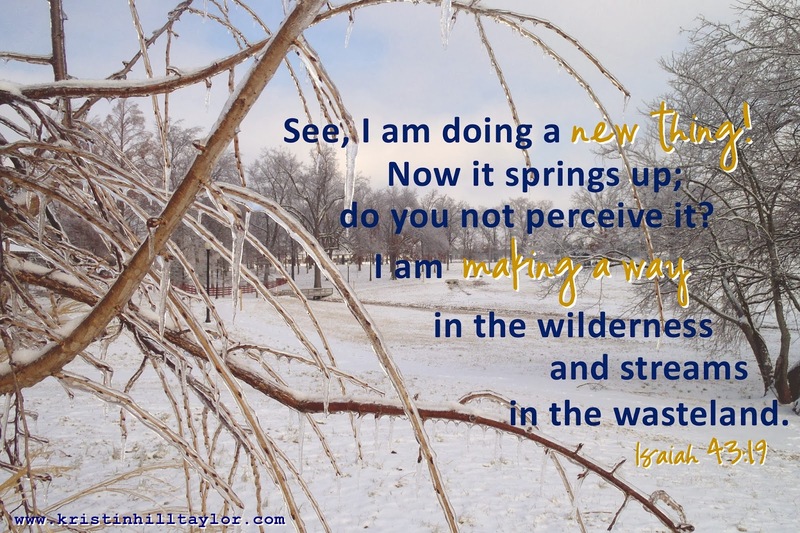 I've stalled changes in life because I was afraid of what the new season would bring. I've resisted change because I wasn't in control of what would happen next. I've said never to living where I live, a job I loved, quitting said job to be a stay-at-home mom, and enrolling my kids in a private school that turned out to be a perfect fit for us. Because Jesus may call you to lay down something down or pick up something new or invite someone in or go against what you've always known or take steps into the unknown. God doesn't leave the us the same. He makes us new and continues making us new. He doesn't leave us in the wilderness but changes us as we journey to the Promised Land. In December, I had to let go of my desire to adopt a third child. It was bittersweet. It was hard, but it was freeing. Since then, I keep walking by the room I thought we'd make a nursery again. It's just been sitting there. Empty. Bare. God laid on my heart the desire to give the room purpose again. So as of Saturday, it's a guest room. I have no idea if it will forever be a guest room, but this rearranging was necessary for my soul as I follow Jesus. Moving around furniture this time wasn't as easy, but I'm glad it's done. In the process of life, God rearranges our desires and our decisions. He fills our hearts with convictions we never anticipated being important. He perfects us through real life that often looks nothing like we imagined. Sometimes it's hard, but we're always better for it. Like I rested peacefully in that childhood canopy bed of mine wherever it was in my bedroom, I don't want to be scared to let go. I want to rest in what Jesus has for me, even when it means rearranging my thoughts, desires, dreams and expectations. I'm joining Jen Ferguson's Soli Deo Gloria party, Beth Stiff's Three Word Wednesday and Lyli Dunbar's Thought-Provoking Thursday. Is 43:19 is one of my favorite verses. Your picture is so lovely too. You sound like my daughter. I never knew where I'd find her bed when I walked into her room. Now that she's away at college, her furniture is getting a rest by staying in one place. Thanks for those prayers, Lisa. We were actively pursing a third adoption, but various things led us to lay it down. God obviously can do with all that what he wants and I would move out that queen bed if he told me to. :) But for now this is where we are. There is such gentle peace here, in your words, Kristin. I'm so thankful for how you share your beautiful heart. Bless you--and praying for you as you continue to trust Him in healing your heart. I went through a phase of only wearing pink and purple dresses when I was a little girl. Purple stuck around as a favorite color of mine as well. :) I'm so glad God hasn't left me the same - whew. Thanks for your sweet words and prayers, Mindy! You sound like me as a kid...rearranging my bedroom every month or two just for a change. I am grateful that God is teaching me to be flexible. His ways are so much better than mine. Still learning!! Oh, I'm still learning too, even though I know that he certainly knows better than me! Thanks for visiting and commenting! "He makes us new and continues making us new. He doesn't leave us in the wilderness but changes us as we journey to the Promised Land." It's such comfort to know He isn't finished with us yet. And always comforting to know He never leaves us. I know I say this often, but thank you for allowing us to be a part of your life. Love you. Thanks, Beth, for always encouraging. It's easier to be real when there is a support net near to catch my words. I'm so thankful God isn't done with me yet. Love you, friend.